Ecumenical Youth Council in Europe → EYCE News → United we work! Today we want to offer you another great opportunity to participate in ecumenical project and experience ecumenical spirit in a very practical setting – through the work camps offered by Ecumenical Youth Services! Ecumenical Youth Services is an international volunteer program in Germany. EYS was founded in the 1950s in the GDR and is now administered by the Office for Evangelical Children and Youth Work in Berlin-Brandenburg-schlesische Oberlausitz. 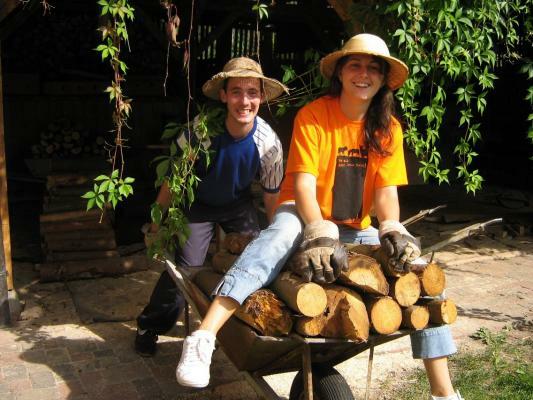 The work camps organised by EYS provide an opportunity for young people (age 18 to 26 – in exceptional cases from 16 years) from all over Europe to meet and work together in an international context on meaningful, socially relevant projects. to life together in an atmosphere of equality between young men and women. For more information and application visit the EYS website!